A MAN who defied a planning enforcement notice to carry on running a skip hire business at his Stretton-under-Fosse farm has been fined £600 by magistrates. A HOUSING developer has been fined £10,000 for felling trees in Hillmorton which were protected by a Tree Preservation Order (TPO). 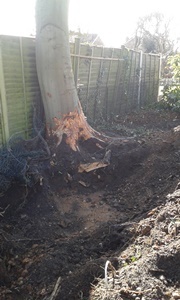 A RYTON man has been ordered to pay more than £1,500 after a protected tree on his land was cut down. A RUGBY man faces a £5,000 legal bill after protected trees were damaged and felled in Clifton-upon-Dunsmore. 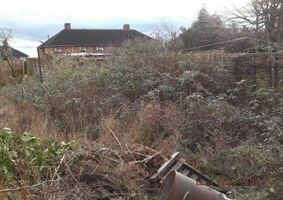 A HILLMORTON man who ignored a council notice ordering him to tidy up his overgrown gardens has been handed a £610 legal bill. A WOLVEY man has been fined £2,000 after breaching a stop notice served by Rugby Borough Council on a farm development. SAINSBURY'S has been fined £4,000 for repeated breaches of a planning notice served by Rugby Borough Council.